Is Chronic Pain Destroying Your Family Life? Does Every Interaction Seem Like a Battle? Are You Feeling Isolated from Your Family? 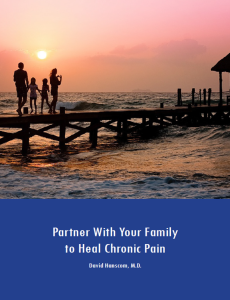 Dr. Hanscom has helped hundreds of individuals go pain free without surgery or meds, take back control of their lives and reestablish a meaningful connection with their family members and friends . His methods can help you, too. With your family’s help, you can live a pain-free life and start enjoying your life together again. Take this important step to heal your chronic pain for good.